Golfers! 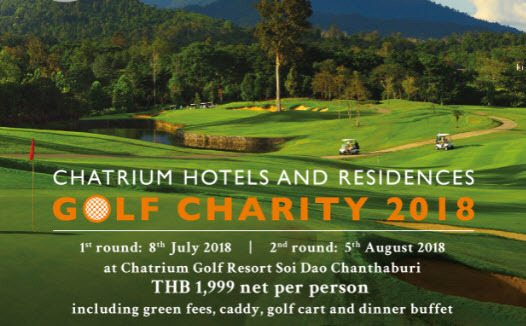 Enter this open tournament at our award-winning course in the breathtaking highland sanctuary of Chatrium Golf Resort Soi Dao Chanthaburi, whether just for fun or to fight for a chance at an invitation to the Thailand PGA Tour’s Singha-SAT Chanthaburi Championship 2018! Time: Shotgun start at 12:30 pm.